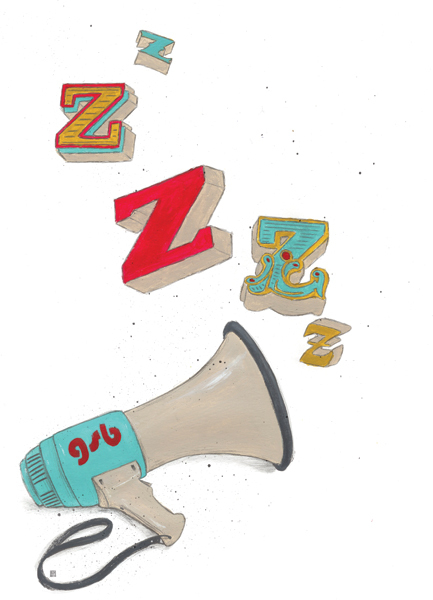 The student protest movement in Groningen seems to be asleep, according to an article in Hanzemag that we illustrated. There are a lot of questionable changes in education in the Netherlands, but for some reason the students don’t feel the need to protest. We thought the best way to illustrate this was a sleeping megaphone.